MAS Silueta maintained their unbeaten record in winning the Mercantile ‘B’ Division 50-over Tournament, the Fair and Lovely ‘Men’ Challenge Trophy with a comfortable 5-wicket victory over Power Tech Cement at the MCA Grounds yesterday. Experience played a major role in this final as Power Tech Cement consisting of school leavers failed to read the game of the big hitting Silueta batters. Power Tech batting first, added by two fruitful partnerships of 100 runs and 55 runs for the second and fourth wickets failed to capitalise and lost wickets at regular intervals against Silueta attack of Buddhika Sanjeewa, Nimanda Madusanka and Dushan Hemantha. 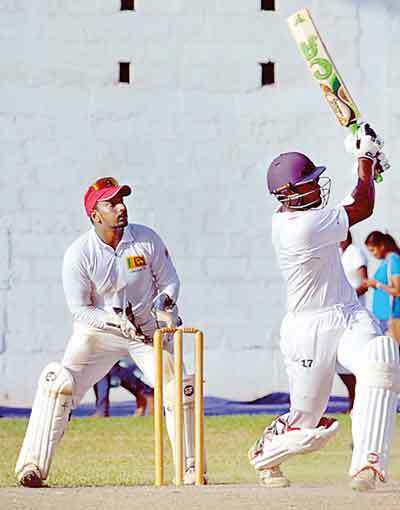 Dineth Thimodya (51) and Lahiru Jayakody (56) were involved in the opening stand and Jayakody was involved with Dasun Seneviratne (42) in a 55 run partnership for the fourth wicket contributed mainly for their total of 247 for 9 in their allotted 50 overs. Experienced MAS Silueta aided by an entertaining opening stand of 95 runs in 15 overs by Ishan Nilaksha (46) and Shehan Fernando (65). With the exit of the openers, Nimanda Madusanka (41) and Angelo Emmanuel (24 n.o.) put on a lusty 56 runs for the fifth wicket in only seven overs and the final touches were made by Sangeeth Cooray scoring a quick fire unbeaten 29 including of six sixes coming off in 11 deliveries. Thilan Nimesh (2 for 25) and Malinga De Silva (2 for 41) were the most successful bowlers for Power Tech. Nimanda Madusanka (MAS Silueta) was adjudged the Man of the Final. Tharindu Ratnayake (John Keells ‘B’) won the Best Bowlers award and MAS Silueta’s Denuwan Rajakaruna won the Best Batsman’s and Man of the Series awards of the tournament.